Puppy Love... All our fans know that we can stretch their budget for them and make up something nice in their price point! Trust us and our Puppy's advise. 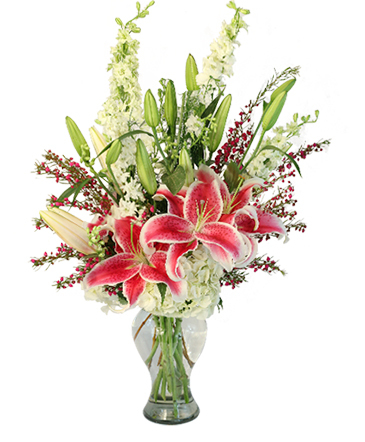 Let it be a puppy Love Surprise and order a Florist designed mixed floral arrangement of trendy and seasonal flowers. 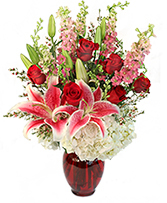 The higher the amount, the more premium your flowers and containers are. You can trust ordering from us.